Okay. Let’s face it, I have been obsessed with Nutter Butters recently. They are the perfect canvas for a super easy and adorable treat with no baking required. No baking!? I’m sold. Don’t get me wrong, I love to get my bake on once in awhile, but these don’t make a huge mess and they are so dang cute. 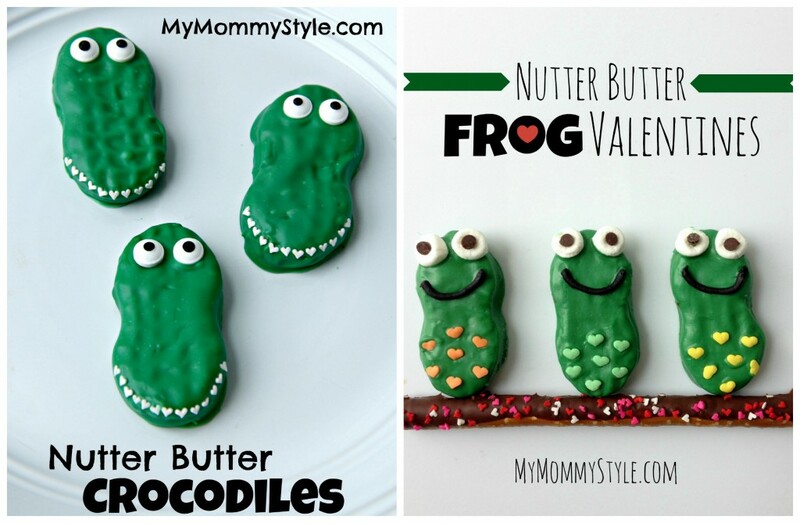 I’ve already made crocodiles and frogs (each with their own Valentine, check them out!) and today I have owls to share with you. First you melt the candy melts in the microwave and whisk together, add a little pink food coloring, or color of your choice and mix together. Dip your nutter butters until they are completely covered and transfer to some wax paper. Add heart sprinkles for the feathers on the belly and head and let dry completely. Add some melted white candy melts to a zip lock bag and snip the corner to make the wings and eyes. Add a mini chocolate chip to each eye for the pupil. Depending on how runny your candy melts are you may have to stick he owls in the freezer between each eye so they don’t run together, 10-15 seconds is plenty of time to make them firm. Add an orange heart sprinkle for the beak. That’s it! You’re done! 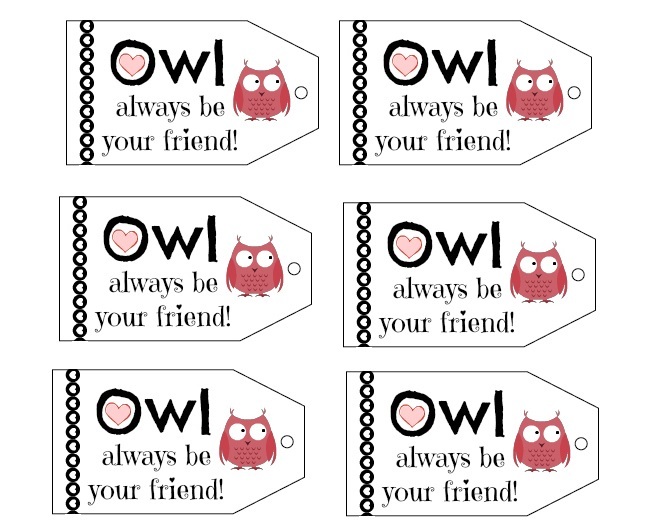 You can place your owls in a treat bag and tie one of these Valentine tags to each one with a festive ribbon. Click HERE for the free tag printable. 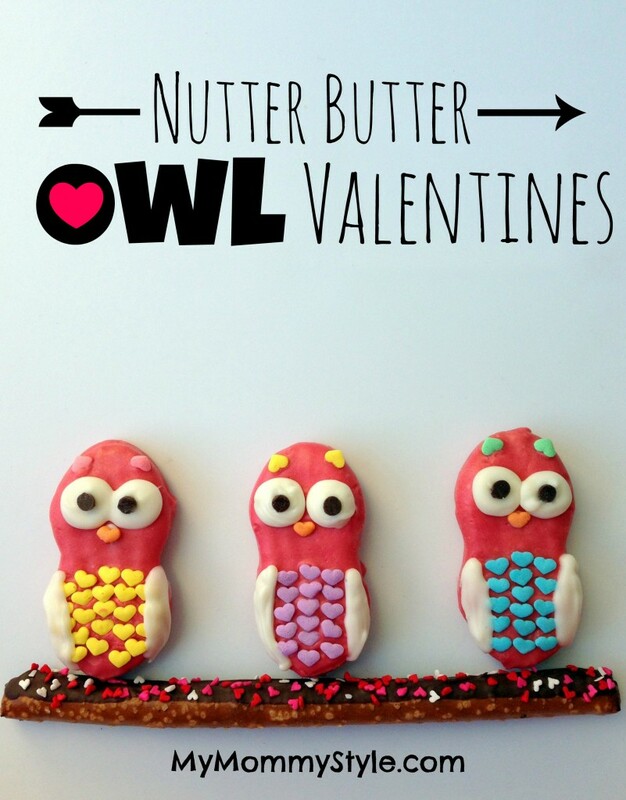 You can also check out the other Valentine Nutter Butter treats by clicking the photo below. Linked up with Buns In My Ovens, Katherine’s Corner, Tidy Mom, The Pin Junkie and Saving 4 Six.